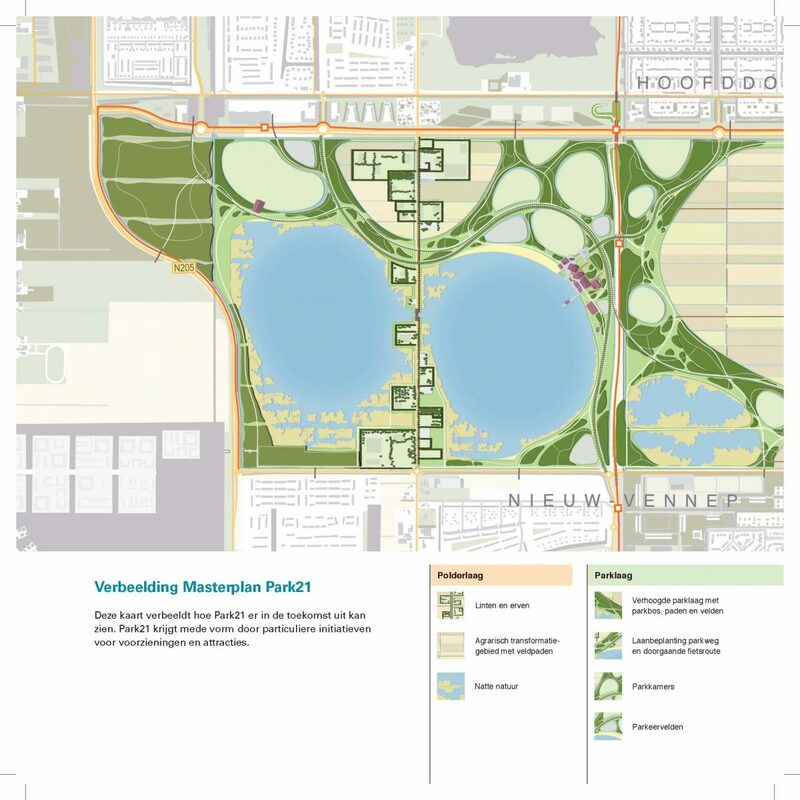 Park21 consists of three layers: the polderlayer, the park layer and the leisure layer. The layers are complementary but with clear differences. 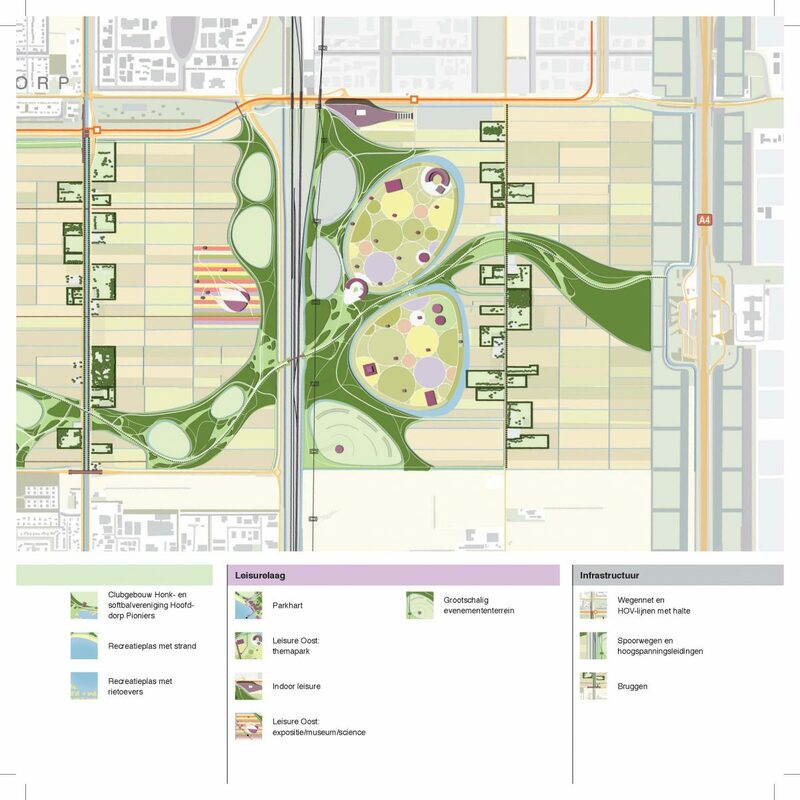 The polder layers keeps the existing polder landscape recognizable and transforms the traditional agrarian landscape to urban acriculture. 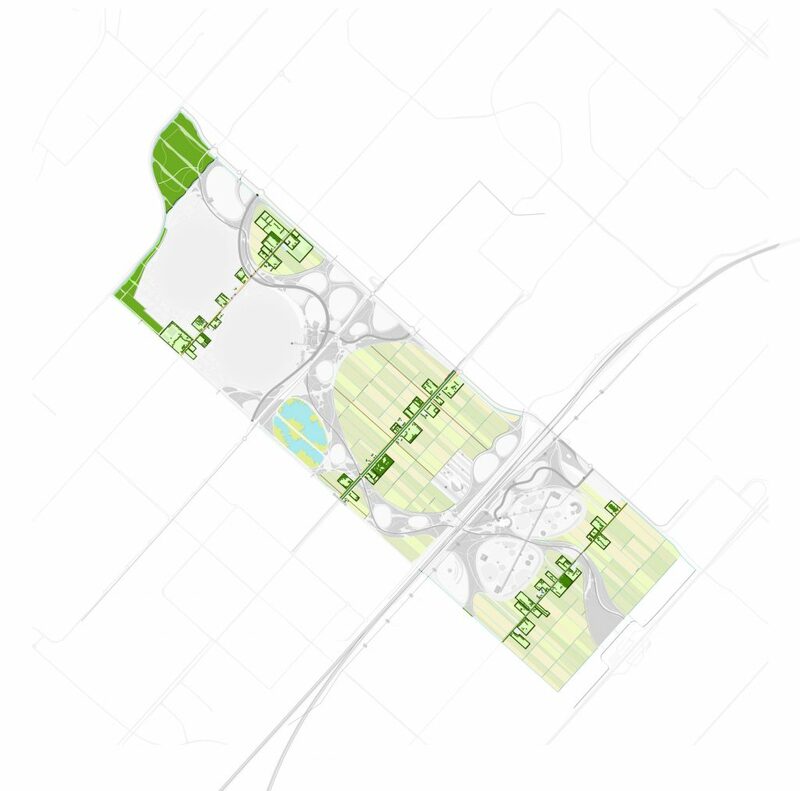 The park layer ensures cohesion. 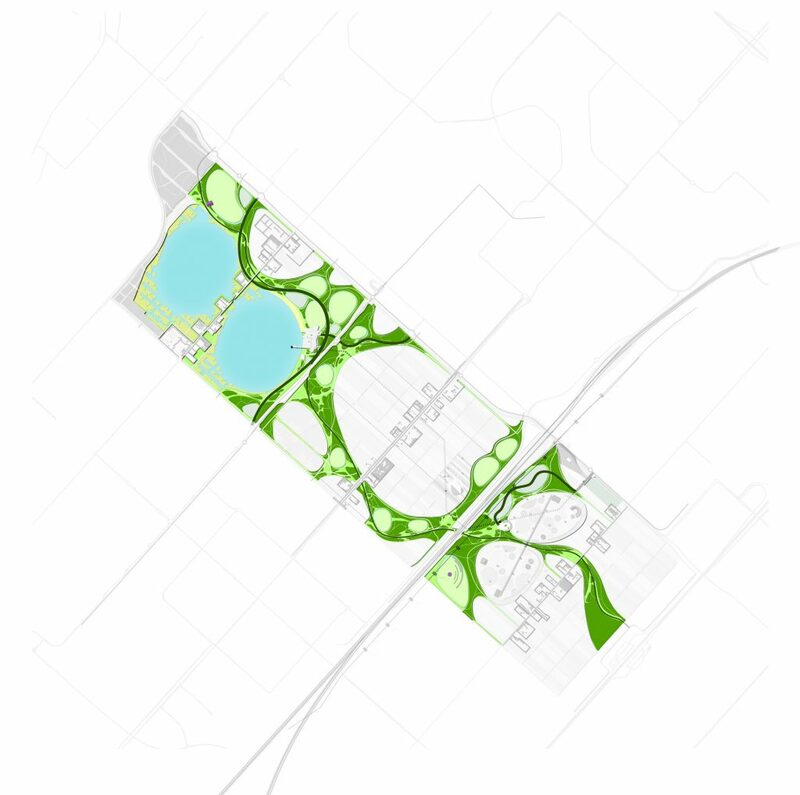 It is a public green structure with a network of walking, cycling, skating and riding trails. It is the public space and serves as the backbone for other initiatives. The leisure layer provides space for leisure facilities and (inter)national attractions. 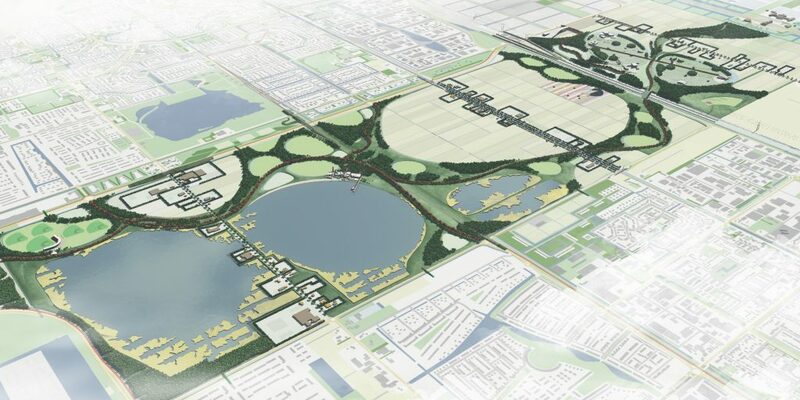 Between the rail line and Rijnlanderweg there is room for indoor and outoor leisure activities. 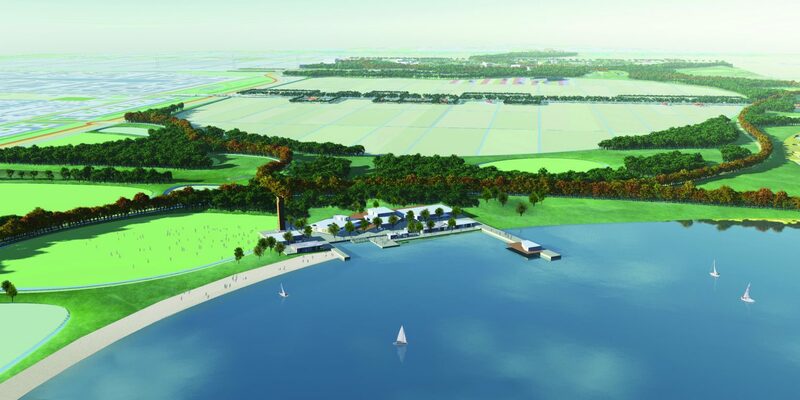 Between Hoofddorp and New Vennep is the ‘Parks heart’, situated on a large recretional lake, with room for a visitor center, observation tower, beach and restaurants. 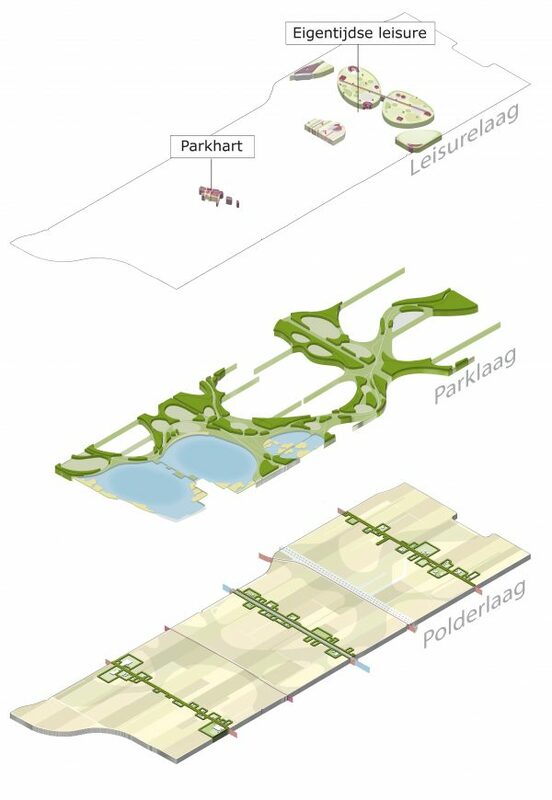 The polder layer keeps the existing polder landscape recognizable andtransforms the traditional agrarian landscape to urban agriculture. 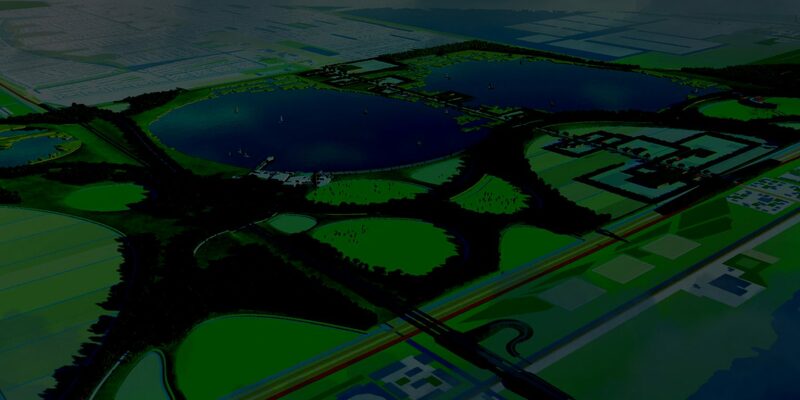 The park layer ensures cohesion. 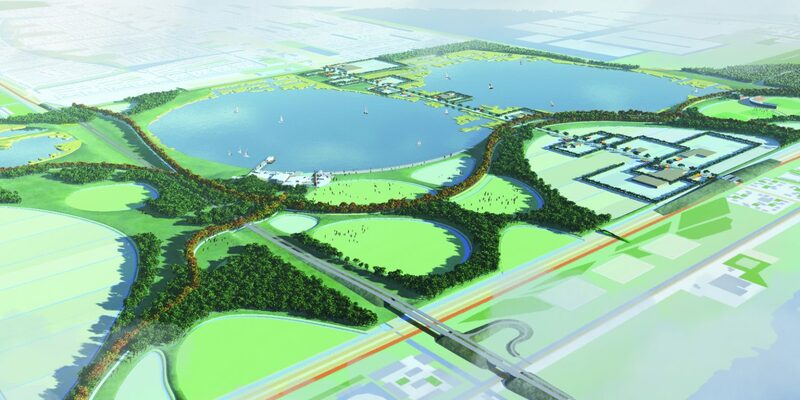 It is a public green structure with a network of walking, cycling, skating and riding trails. It is the public space and serves as the backbone for other initiatives. 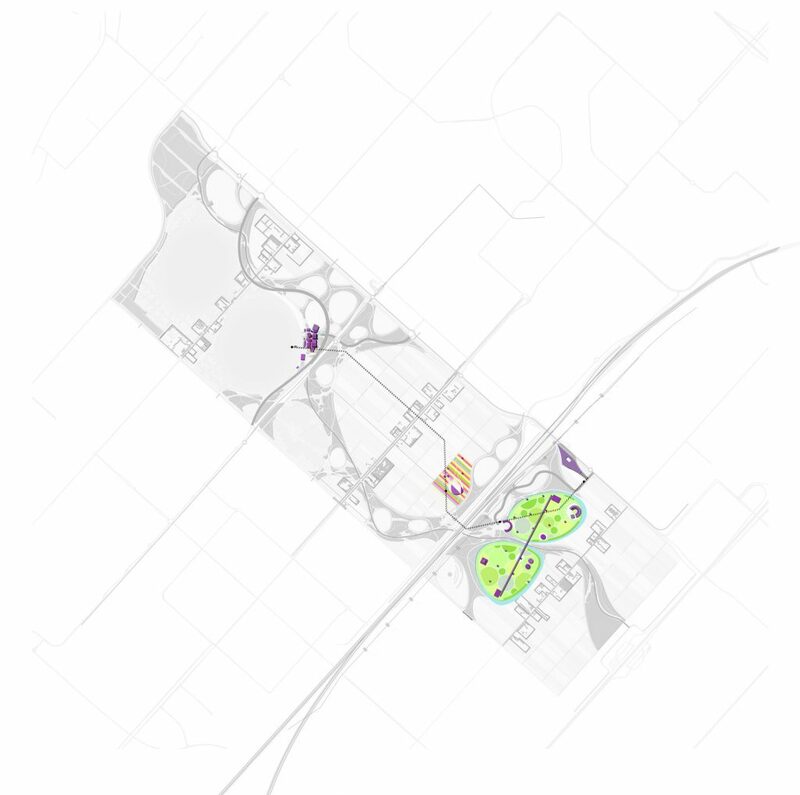 The leisure layer provides space for leisurefacilities and (inter)national attractions. 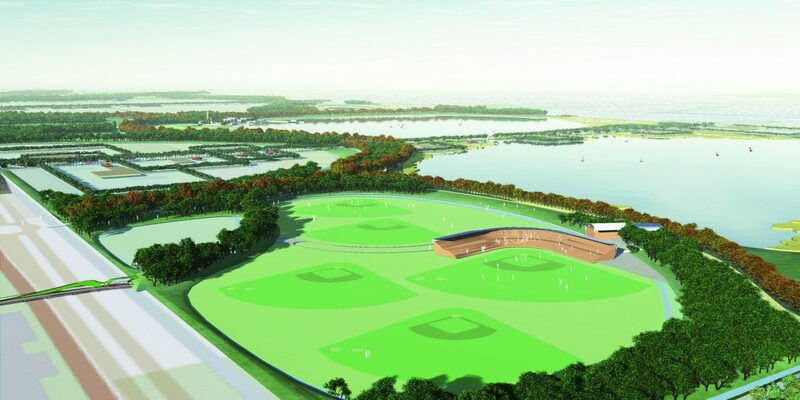 Between the rail line and Rijnlanderweg there is room for indoor and outdoor leisure activites.